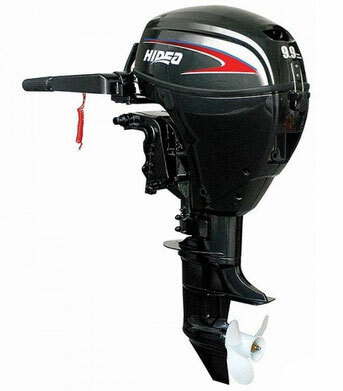 Owner's manuals PDF for Hidea outboard motor's free download. Hangzhou Hidea Power Machinery Co. Ltd (Taiwan) is one of the most professional manufacturers of outboard motors in the world. This is a high-tech factory with its own design department, production line and marketing department with an experienced team of specialists. The annual production of motors reaches 50,000 units. The design department develops not only models, but also improves the equipment according to the product quality control system, which makes it possible to guarantee the product up to 3 years of operation. Hidea is a subsidiary of First Auto Works Corp (FAW), the largest vehicle manufacturing plant. The corporation provides the company not only with financial assistance, but also provides serious technical support. Hidea is certified under the ISO9001 international quality certification system, and is also the holder of many awards and prizes for stable quality and excellent performance, and has CE, EPA and VCA certificates. Boat motors Hidea presented a series of 2 and 4-stroke engines. The company is focused on exports and its products today can be seen not only in Ukraine, but also in North America, in Europe, Africa and Asia. For example, distributors successfully sell these engines in the USA, Canada, Chile, Germany, Russia, Australia, Israel, South Africa, Egypt, etc. Goals and potential enable Hidea to become a leader in the production of the most efficient, environmentally friendly and affordable engines in the near future. Providing, therefore, the best deal for their potential users and buyers.